Free Shipping Included! 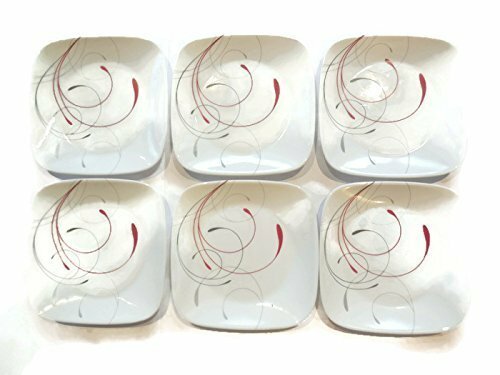 Corelle Dinnerware Dessert Plates Set, Square Splendor 6.5'' Perfect Size For Dessert, (Set of 6) by CORELLE at Amina Restaurant. MPN: 3922078. Hurry! Limited time offer. Offer valid only while supplies last. Square dessert plates set perfect for your party and impress your dinner guest. Microwave, dishwasher, and oven safe patterns won't wash, wear or scratch off.